“Bad news, Mom. 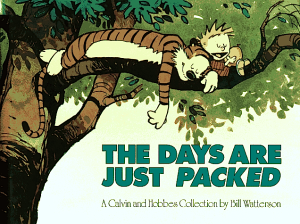 I promised my soul to the Devil this afternoon.” Volume five of Bill Watterson’s collected Calvin and Hobbes is packed with more of the witty, silly and gorgeously cartooned material that made this newspaper strip an absolute smash. 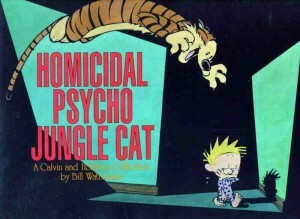 Six-year old Calvin and his best friend, a tiger called Hobbes, inhabit a surreal universe that happens to co-exist alongside the everyday world where his parents, his schoolteachers and everyone else lives. 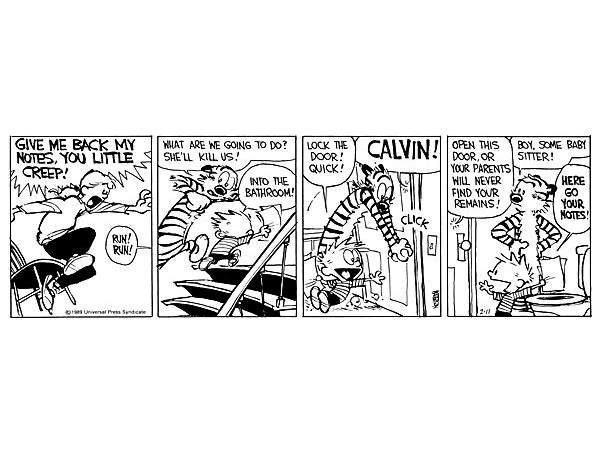 Nobody sees the world the way Calvin does – to them, Hobbes is just a stuffed toy. But when they aren’t looking, Hobbes is as real as they are. Perhaps moreso. 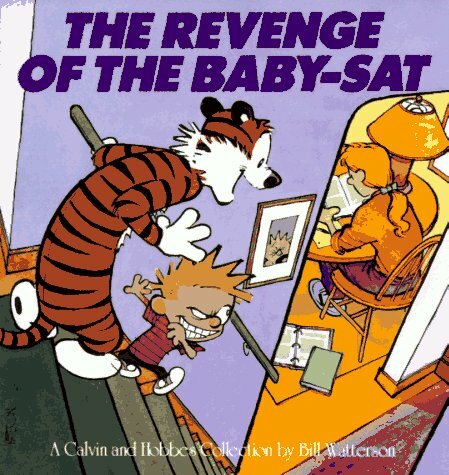 By the time we arrive at The Revenge of the Baby-Sat, which covers the sixth year of his newspaper strip, Bill Watterson’s cast of characters are so well-realised and filled with quirky personality that a lot of the fun now comes from the anticipation of what they will do when faced with Calvin’s magnificently unreasonable behaviour. 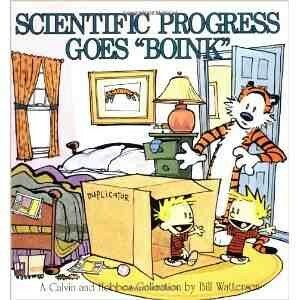 The title of this collection gives some clue as to who the primary target of Calvin and Hobbes’ harebrained schemes is this time. Babysitter Rosalyn is lulled off guard just long enough for Calvin to steal the notes she has made for a big test at school, and if she doesn’t give in to all his demands it might be the last time she sees them. Would Calvin dare to flush them down the toilet? 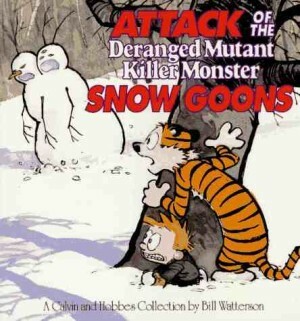 This volume introduces Calvin and Hobbes’ top-secret, private and official club, called G.R.O.S.S., which stands for Get Rid Of Slimy girlS. You can just imagine what Suzie Derkins has to say about that. More appearances by Spaceman Spiff and Stupendous Man plus the usual recurring interplay of school, vacations, inventions, family dinnertimes and disasters add up to another great collection of top material. Irresistible.